Knives can only be sold to those over 18 in the UK. Check box to confirm you are over 18 years old. Proof of age may be required on delivery. 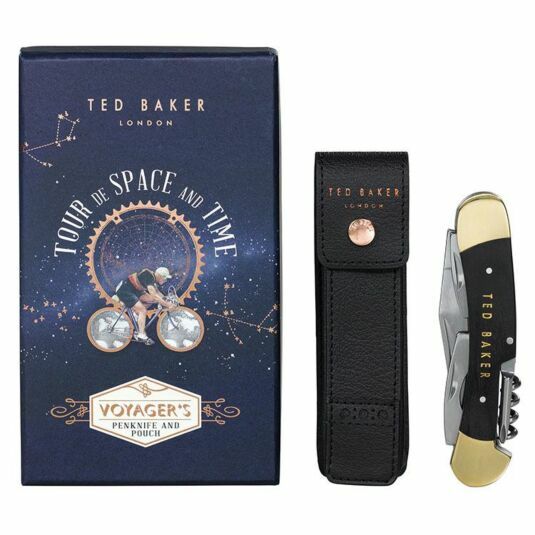 Made by Ted Baker London you have this beautiful Penknife and Pouch, perfect for a range of different tasks. 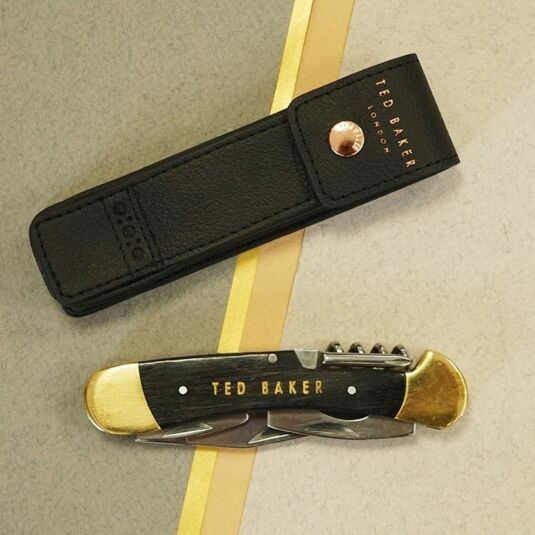 Made from metal, wood and brass, this penknife is that of style and usefulness. 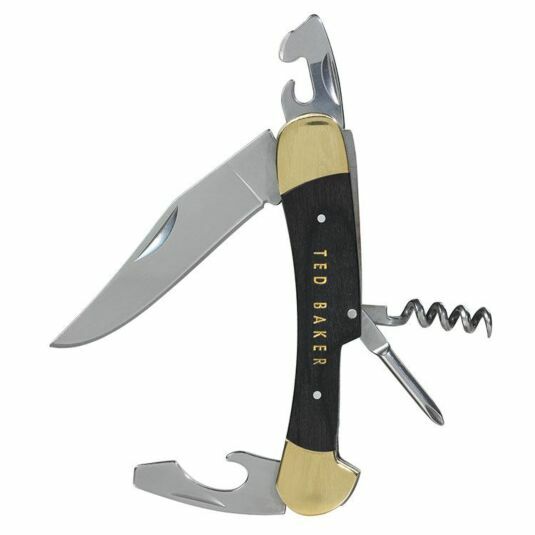 It comes with five compact tools, a blade, bottle opener, screw driver, can opener and cork screw. Also it comes with a faux leather pouch which keeps it nice and secure. 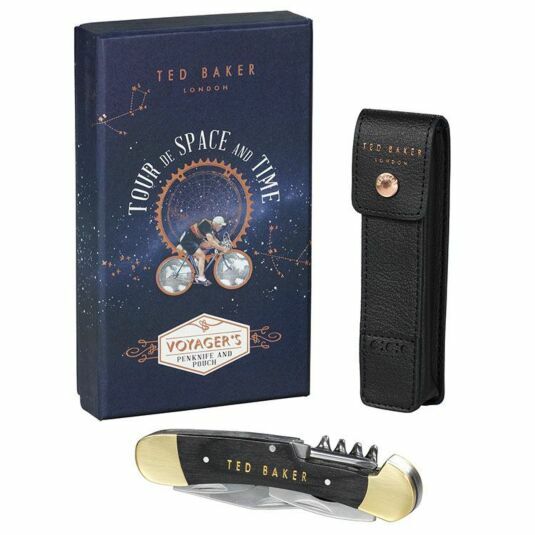 This is a great gift for any friends you know that like these cool tools, perfect for Christmas and birthdays. 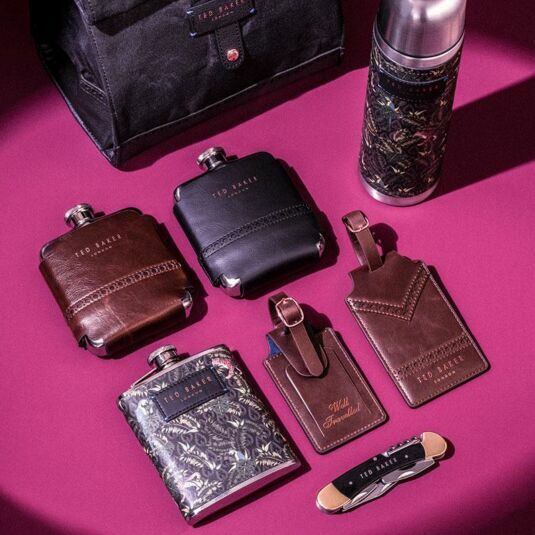 A perfect gift for a discerning man, especially for Father’s Day or any special occasion. NOTE: This product is not a toy, please use within safe means and keep away from children. Take care when removing knives from packaging. 18+ only.